NorCal Event Staffing provides Northern California with the most professional and experienced Wedding Planners, Event Coordinators, DJs, Bartenders, Servers, Caterers, Promotional, and Entertainment specialists in the service industry. Call NorCal Event Staffing today; we'll take care of everything. Whether an elegant private dinner for 10, or weddings and corporate events for 5000, Nor Cal Event Staffing is your choice for an effortless and unforgettable event. When you choose Nor Cal Event Staffing you don't need to worry about a thing. We take care of all the details, from preparation to clean up. We fix our prices up front. We never charge hidden fees. Our team of highly qualified professionals will make any event a pleasure. From weddings to cocktail parties, or anything in between. 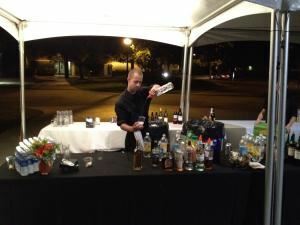 NorCal Event Staffing is your best choice. Our attention to detail, experience, and reliability ensure that your event will be a smashing success.